Prof. Dr. Detlef Stammer is the new head of the World Climate Research Programme (WCRP). The World Climate Research Programme (WCRP) is one of the world’s leading climate research initiatives. Effective immediately, Prof. Detlef Stammer from the Center for Earth System Research and Sustainability (CEN) at Universität Hamburg will be chairing the WCRP Joint Scientific Committee, an international committee comprising 17 scientists. At Universität Hamburg, the renowned oceanographer heads the new Cluster of Excellence Climate, Climatic Change, and Society (CliCCS). Just 40 years after its founding and with the backing of the Paris Agreement, the World Climate Research Programme is restructuring. 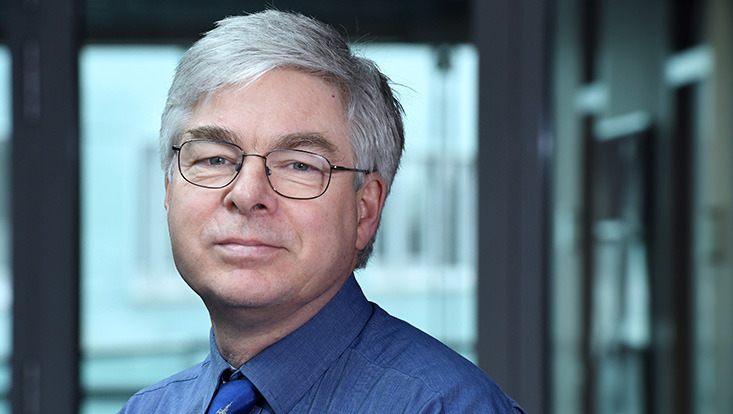 Prof. Detlef Stammer from the Center for Earth System Research and Sustainability (CEN) at Universität Hamburg has been named its new chair. In the future, research will focus on 4 core areas: short-term climate prediction; prognoses for the future; a broader understanding of the climate system; and the availability of policy-relevant climate information. Stammer will advocate for programs that are better able to provide concrete prognoses for specific regions. Only then can scientists provide residents, policy makers, and industry with locally useful climate information—the basis for sound decisions. “This only works with international coordination. We must marshal our efforts if we are to fight climate change in time,” said Stammer. The WCRP is one of the leading initiatives in the coordination of international climate research. The WCRP receives funding from the World Meteorological Organization (WMO), the Intergovernmental Oceanographic Commission of the UNESCO, and the International Science Council. Researchers in CLICCS, the acronym for Climate, Climatic Change, and Society, aim to understand changes in the climate and identify possible and plausible climate futures. As part of the national funding program known as the “Excellence Strategy of the Federal and State Governments,” Universität Hamburg received funding for 4 clusters of excellence—large-scale, collaborative, and interdisciplinary research alliances—including CLICCS.